Greatest First Lines Ever – Contest Update! Wow, the contest to win a free book by telling me your favorite first line is going really well. Thanks to everyone for your comments, emails, voicemails, and speakpipe recordings. The entries are fabulous, especially the ones I get to hear read in your own voice. And at the end I get to give away books – another great pleasure. Keep ’em coming, folks! You’re really making my week fun. Or just leave your entry in the comments. You can also email me at jackewilsonauthor@gmail.com or follow the speakpipe instructions here to just click a button and talk at your computer for a few seconds. No strings attached! I may pick your entry to read on a future podcast dedicated to great first lines. And of all the entries, I will pick one to win a free book of your choice. Or maybe more than one, because how can I ever choose? Why does an all-good, omnipotent God permit pain and suffering among the innocent? Jacke Wilson takes a look at the masterful Book of Job. Bonus episode tomorrow: we look at the Book of Job and the fascinating question of why a good, all-powerful God permits pain and suffering. And what happens when a lowly human dares to ask this question? The dialogue between God and Job is without a doubt one of the greatest moments in all of literature. I believe that if you woke a lot of people in the middle of the night, and asked them why they cared about the Book of Job, they would name the most troubling, least sympathetic character in that document: God. He, not Job, is the star of the Book, and though he is not loving or fair, that seems to be part of the attraction. 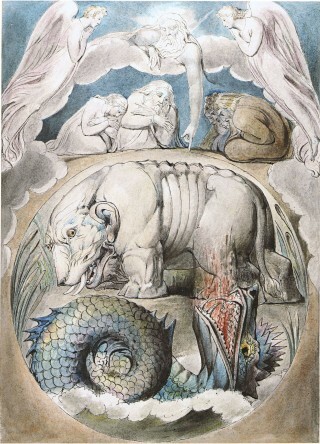 Image credit: William Blake’s “Behemoth and Leviathan,” creatures of an all-powerful God. courtesy Morgan Library & Museum (newyorker.com). Here we go! We’ve spent enough time agonizing over whether Literature Is Dying. Let’s put that on hold for now. Instead, let’s celebrate the greatest geniuses and most powerful books we can imagine. And let’s do that by focusing on the Greatest First Lines of all time. What’s the criteria for a great first line? It’s up to you! It could be the line that inspired you in some way, the one you admire, the one that intrigued you, the one that pulled you into a narrative, or simply the one that kicked off what turned out to be your favorite book of all time. And here are the rules for me: I will select one lucky winner (or maybe a few) to receive a free book from me, Jacke Wilson. And no, it’s not one of my books (available now! ), but a book of your choice. How do you enter? You have four options. Option #1: You can send me an email at jackewilsonauthor@gmail.com. Pretty easy! I will keep all your personal information private, of course. Option #2: You can leave a comment below. Just type in your favorite first line(s). Simple! Option #3 (preferred). Call the Jacke Wilson hotline and leave a message with the answering service. Why is this preferred? Why will these entries have a slight advantage over the others? Because I will actually get to hear your voice reading your favorite line. How cool is that! Look, I’m a sentimental sort of person. I try not to be, but I am. And I think there’s something beautiful about a person’s voice when he or she is saying something out of unselfish enthusiasm. Sharing a favorite first line for no other reason than because it was your favorite – well, that counts. Please do call – I will appreciate it! 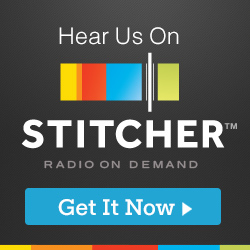 I might also use the clip on my podcast as I discuss the contest and its results. But don’t worry, I don’t see your number or name or anything like that. I just get to listen to the message. This is to help us all celebrate literature and to possibly win a free book. No strings, I promise. You get 90 seconds to identify the book and/or yourself (if you want etc.) and read your favorite first line. I’ve tried this out and it works great. Again, this is a preferred method because I get to hear your voice. It’s a beautiful thing to be able to do, so rich and expressive. I can’t wait to listen. I’m not going to contact you in any way unless you’re the winner. I’ll be sending you the free book of your choice via Amazon. If you prefer not to use Amazon, we’ll work something else out. Okay, there you go. Four good options. Let’s hear some favorites! Examining the literary qualities of the most successful religious text in the history of the world. What inspired Nietzsche? Strong, powerful stories about strong, powerful characters. Seizers of the day. Grabbers of life by the throat. Wrestlers with the human condition. Where did he find them? Join us Monday for the next episode of The History of Literature, when we take a look at the Hebrew Bible.